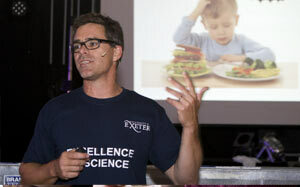 I am delighted that the University of Exeter is hosting the remarkable Science in the Square event in Falmouth once again this year. This fantastic free event gives scientists from our Penryn Campus the ideal opportunity to share their knowledge, passion and expertise for science with the local community. 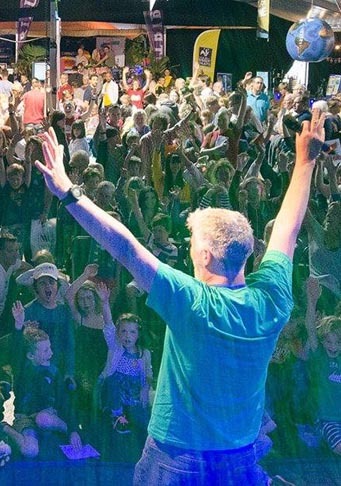 In particular, we are determined to give children of all ages the chance to experience the wonders of science at first hand through a series of talks and interactive sessions, and really explore the world around us in a fun, friendly and hands-on environment. Science in the Square provides everyone with the opportunity to not only learn more about the amazing science taking place in the inspirational environments of Cornwall, but also become scientists for the day. 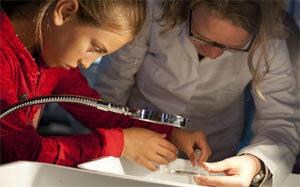 We know that children have an instinctive curiosity towards nature, and constantly explore the world around them. Events such as Science in the Square allow us to nurture this innate enthusiasm for both science and nature, and develop a greater appreciation and understanding of the role they play in their everyday lives. By engaging with children in events such as this, our scientists can give them the confidence to question their environment, develop key basic scientific theories, increase their observational skills and, most importantly, have fun while they do so. The skills, attitudes, and ways of thinking we will introduce to the children taking part in Science in the Square will hopefully stay with them throughout their school years, and into later life, and perhaps sow the seeds of discovering the scientists of the future. We believe that Science in the Square provides us with the perfect way to give something back to the local community that supports us in so many ways. It also gives us the ideal opportunity to showcase some of the research, ideas and people of which we are, rightly, proud. I look forward to you joining our scientists for what promises to be a truly special day. 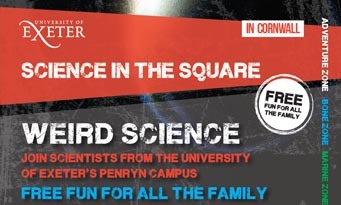 Science in the Square takes place at Events Square in Falmouth, between 12-4pm on Friday 17th August 2018. Entrance is free.